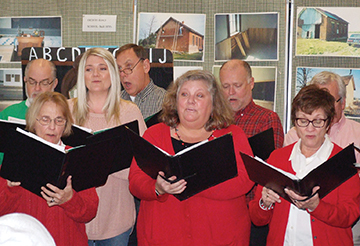 Times of heavy rain may have put a damper on Grove City’s annual Christmas Celebration, yet the community made sure the festivities were not a complete wash by braving the inclement weather to take part in the day-long event. 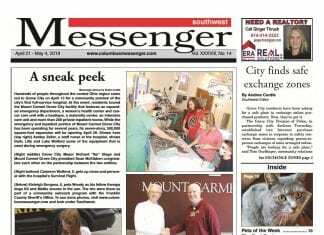 Shown here is a collection of scenes captured on Dec. 1. 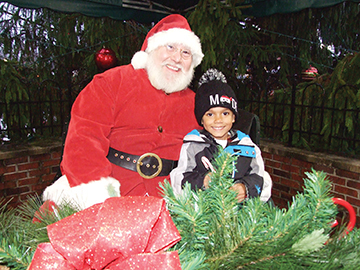 Israel Trice, 5, finally gets to meet Santa Claus (aka Bill White) and hop aboard his sleigh. 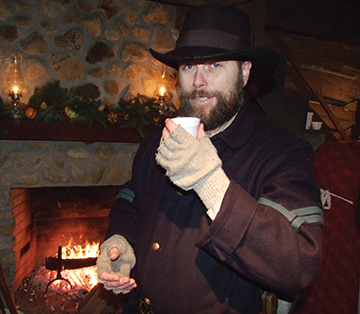 After being out in the cold for more than an hour, Civil War reenactor Jeremy Wheeler, of Columbus, enjoys a warm cup of wassail by the fire. The Grove City Chamber Singers perform at the Orders Road School in Century Village. 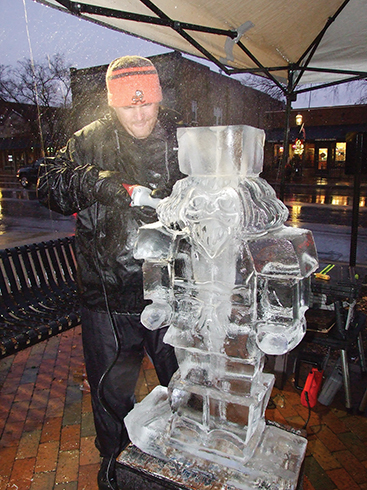 Ice sculptor Trent Mason perfects his creation of The Nutcracker. 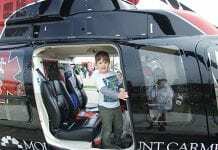 He and fellow Rock on Ice sculptor Jay Leahy made multiple seasonal sculptures and carved names on ice for visitors. 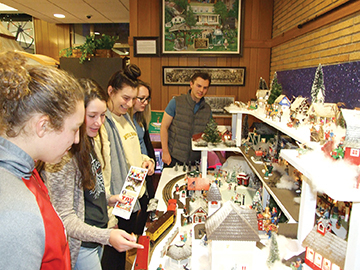 Michaela Kopczewski, Lauren Clark, Kylie Chaney, Bella Brown and Rees Jobe check out the model train and miniature village on display at the Grove City Welcome Center and Museum.